Let Doc Jams Printer Repair, Toner & Supplies service your printer for the best repair, wherever you print! 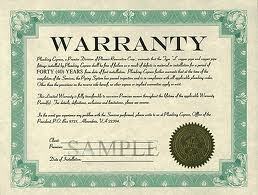 Doc Jams offers warranty printer repair to assist customers. With fast turn around times and trained staff your printer will be in good hands. Warranty repairs with Doc Jams will be seamless and easy. Let us serve you in an efficient, effective manner to get you back to printing. To get your printer repaired as fast as possible we offer a form to the right for submission. Of course you may also call or email us.